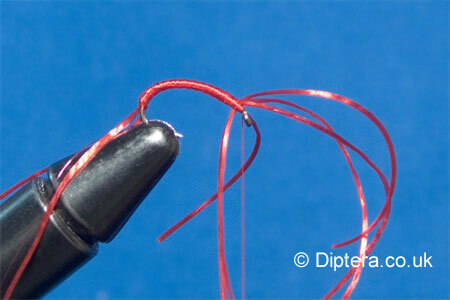 STEP 1 : Take 4 strands of flexifloss and a piece of copper wire and secure a slight way from the eye. Leave around 3 inches of each flexifloss strand protruding in front of the eye. Now wind the thread down to a position around the hook bend, securing the flexifloss and wire as you go.. (Make sure the flexifloss is taught when securing to the hookshank , this prevents the body section becoming too thick). 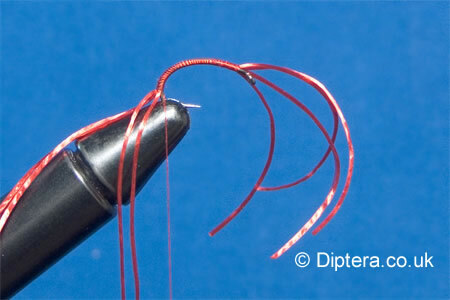 STEP 2 : Now wind the thread back up the hookshank to a position just short of the eye. Now take a strand of flexifloss and wind that up the hookshank in touching turns and secure at the eye but do not trim the waste. 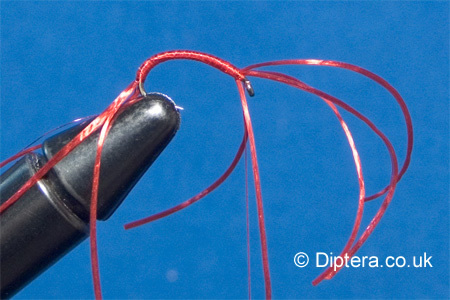 STEP 3 : Take another strand of flexifloss at the hook bend and wind that back up the hook shank to create a rib effect, these do not want to be touching turns but "double spaced" and secure at the eye, do not trim the waste. 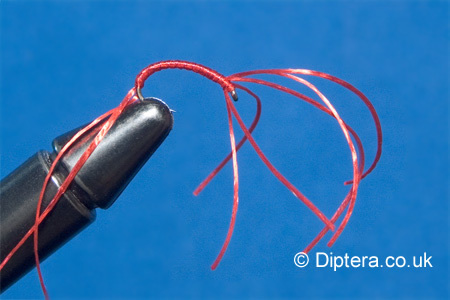 STEP 4 : Now wind the copper wire up the hook shank towards the eye, try to make the copper wire rib sit in between the rib effect that was created by winding the flexifloss. Secure the wire and trim. 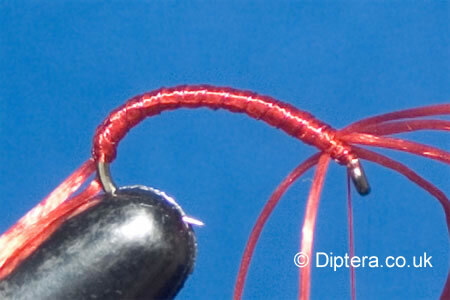 This fly is great in red or claret but try olive, white, pink and yellow, the fish tend to switch off red bloodworms at times and need somthing else to entice them.